petition: Invest in Kids' Futures. Don't Gut Funding for Mentoring Programs! Invest in Kids' Futures. Don't Gut Funding for Mentoring Programs! The current government shutdown is threatening our kids' futures. 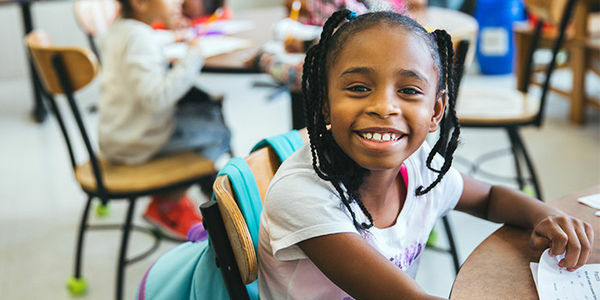 The disputed 2019 spending bill includes critical funding for the Boys and Girls Clubs of America's (BGCA) mentoring program, which connects more than 34000 youth in all 50 states with caring adult mentors. The next leader. The next cure for cancer. The next great American novel. Children possess so much potential — but only if they receive the guidance they deserve and need to achieve their dreams. Unfortunately, currently more than one in three young people — an estimated 16 million — never had an adult mentor of any kind. That's a statistic that BGCA is tackling every day with its Club-supported Youth Mentoring Program. But now this vital program is at risk. We know that mentoring works and it's a sound investment in our kids and our country. Young people who meet regularly with a mentor are 38 percent more likely to graduate on time, 55 percent more likely to enroll in college and 130 percent more likely to hold leadership positions. That's why Congress must come back and pass a final FY19 funding bill that provides $100 million for this program. Lend your voice and tell your members of Congress to invest in our kids' and communities' futures by fully funding this vital program.